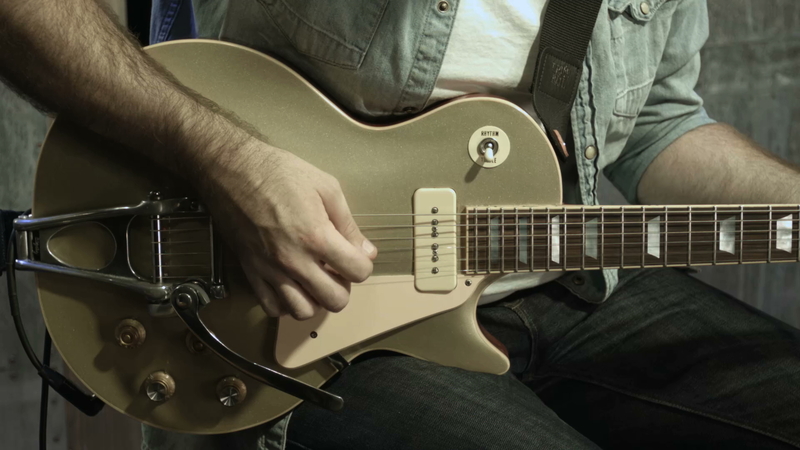 This lesson focuses on exercises that all guitar players can use to increase guitar playing speed, accuracy and dexterity. - The way you hold your pick is super important. You can fan your fingers out, but Michael thinks this interferes with the attack. It’s also possible to hit volume or vibrato knobs on your guitar this way. It’s a lot more efficient to curl your fingers under the pick and reinforce the attack. - Hybrid Picking - Using your pick and your fingers at the same time. You play things that totally different, and you can play multiple notes at once. This method is also really popular with country players - you can get that “thwack” that is signature to the country style. - Dynamic - the ability to change up your tone. - Michael discusses how you grip the neck, and the use of using your thumb. - Your thumb can also be useful for muting strings. - The amount of pressure you place on the neck is really important. When you press on the string too hard you’re actually bending the string out of the note you want. You want just the right amount of pressure to create the note you want. - Muscle memory is a great tool to develop. - Make sure you’re hitting, or not muting out, the notes you want. - Find a couple of exercises that challenge your brain and your left hand. Michael demonstrates an exercise he likes. The pattern: 1, 2, 3, 4, 1, 2, 4, 3, 1, 3, 2, 4, 1, 4, 3, 2.